Let’s dive right in and take a look at these tips. I’ve tried to add some extra information and resources for each one so you can hopefully finish the post with a bunch of actionable steps to take. Please consider giving this a little share on Pinterest or Facebook as it helps to get the word out there. We really appreciate it! Email (like anything these days *sigh*) is prone to a lot of security threats which you need to be aware of, especially if emailing forms an important place in your business. A large portion of the threats out there seem to occur due to lazy security practices, but there have been some recent news stories about people who have had their email accounts taken over even when they had two-factor authentication enabled. You can get some more tips about security in this post but the main things you need to do are avoid public WiFi, have complex usernames and passwords, keep software and apps up to date, stop clicking links in emails, enable two-factor authentication, and so on. My email program is the first thing I open up each day at work and it is the last thing I check before signing off for the day. That represents a lot of hours. If you look at email stats you’ll see that people use it a lot – over 3,000,000,000 emails are sent every hour. But after a while the amount of emailing you do can become a little overwhelming and there have been a lot of marketers who have tried to cut back or even get off of email entirely. Leo from ZenHabits is one of them. It’s worth tracking how many hours you spend on email and deciding whether or not it is a worthwhile use of your time. Do you need to respond to everything right away? Could a chain of 20 emails be more easily resolved in a 30 second phone call? A lot of entrepreneurs just use Gmail’s default in-browser option (which is very good) but there are lots of other options out there that can provide different features, especially if you have multiple emails to manage at once. 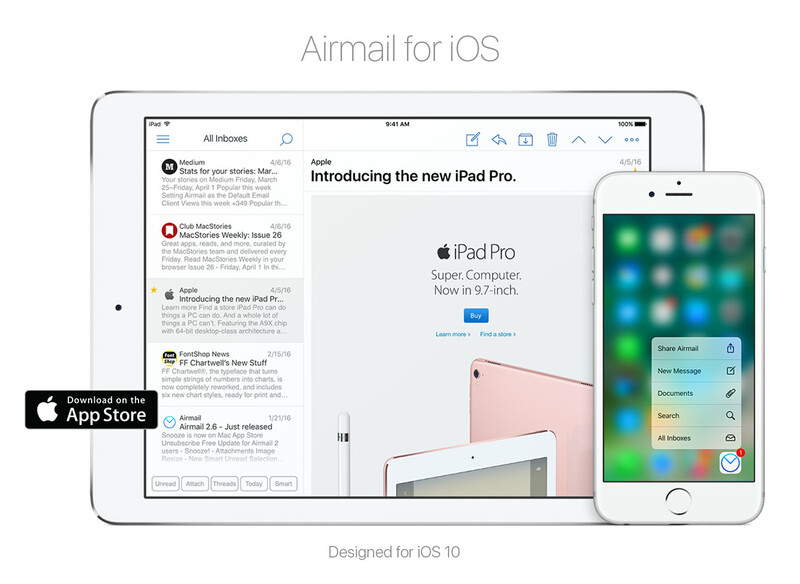 For example, my partner recently started using Airmail for Mac and it solved a lot of problems for her due to the way it searches archives and stores emails in folders. You can also do neat things like create PDFs from the email, and instantly switch between accounts. You can read through Techradar’s list of the best email clients to see whether there is anything that might suit your needs a little bit better than the default. Again, what you choose will all depend on the number of accounts you have, where you do most of your emailing, the type of files you send, etc. Your email signature is the little bit of text or image that appears at the end of the emails you send. You create these in settings so that they just attach on automatically without you needing to create it each time. In Gmail you just go to Settings > General and then scroll down to the Signature section. As you can see, I just have a very simple one for my Blog Tyrant email as it’s not one that I use for much emailing. As you can see above, Chris Ducker has a great email signature that includes a little disclaimer about why his emails are so short. 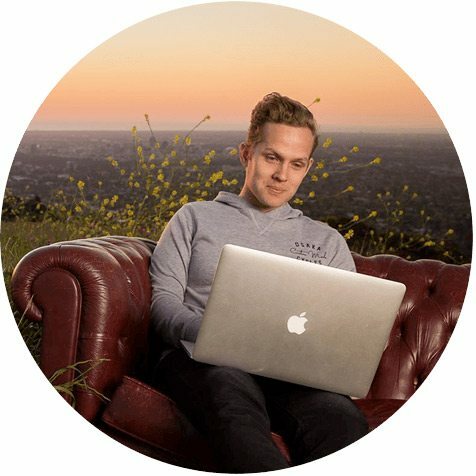 This is a really clever ideas as it has the dual effect of setting expectations while also getting traffic to his website where they might go on to take some other meaningful action. While images and photos can be eye-catching, they can also cause slower load times and sometimes end up getting garbled on different devices. Make sure you test your signature on phones and computers to make sure it works, and ensure that only contains the necessary information. NOTE: Check out the comment below from Dennis which expands on the idea of the legality of some email activities. Make sure you check out if any laws apply to your emails. Email marketing is a powerful form of income earning activity that continues to get stronger. All over the world, people use email to send newsletters, promote existing products, launch new ranges, inform existing customers about sales, and so on. As such – as we regularly talk about – growing a mailing list is one of the most important things any online business can do because it protects you from things like Google algorithm changes where your search traffic might go up or down depending on the latest update. One of the best things you can do is start a mailing list and then begin testing various elements of the process to see how optimized you can make it. What gets the most sign ups? What gets the most opens? How many items can you sell or leads can you generate per email? All of these things can be tested with programs like VWO and email providers like AWeber which have a lot of in-built stats that allow you to continually refine your process. Start with this email success checklist to give you some ideas about what to do before sending out newsletters to your subscribers. Google has made a few changes in the last few years that are making it harder for email marketers. This is good in that it stops a lot of dodgy spammers, and bad in that a lot of legitimate emails get trapped in their net. For example, a few years ago Gmail added tabs to the inbox that sorted emails accord to whether they were Primary, Social, or Promotions which meant that a lot of newsletters landed in the Promotions bin and never got opened. Here’s a good article on how to avoid that, by the way. Screenshot from my mail, edited to remove personal details. 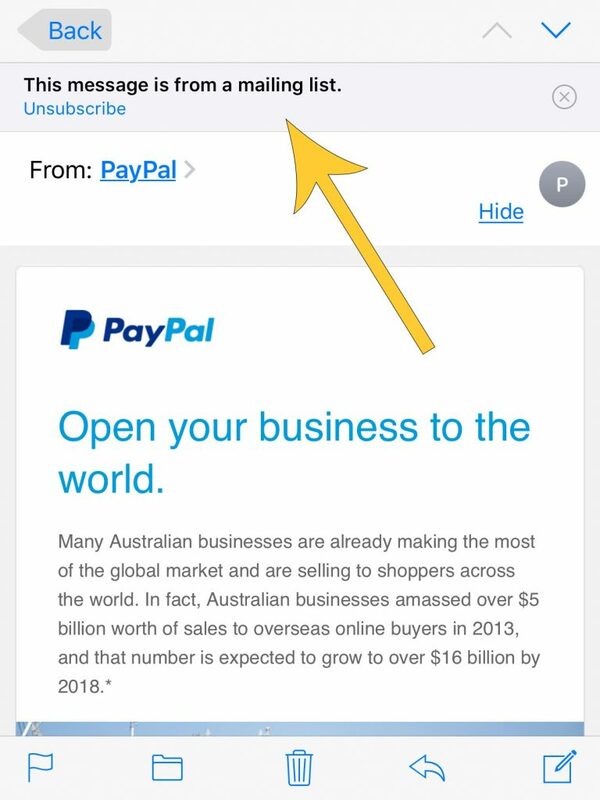 Similarly, in your iPhone you’ll now see a little warning at the top of emails that they think are coming from a mailing list and offers you an unsubscribe option at the top. This can be very handy for some uses, but also a little annoying for bloggers who have obtained those subscribers legitimately. That being said, all email promotions should offer an unsubscribe option somewhere in the email anyway, but this feature just makes it a little bit more prominent and maybe more open to impulsive clicking. One of the biggest trends I’ve noticed in entrepreneur-to-entrepreneur email lately is that people are sending multiple emails about the same thread, often with semi-aggressive tones. For example, at least once or twice a week I will get a follow up email from someone saying something like, “Just wondering why you haven’t replied to my first email?“. I find this strategy really puzzling. For starters, I do my best to reply to every email I get, but sometimes it takes me a few days or even weeks to get around to them all. Secondly, often these emails look/feel/are spam and it’s impossible to know whether it should get a reply at all (more on that later). Thirdly, even if this follow-up strategy did work, it paints your business in a really impolite fashion and it’s unlikely our relationship will go further. Without a shred of a lie, sometimes people will send three or four email like this that, to me, feel like they are trying to bully you in to replying. And while I understand that business is competitive and you need to get noticed, this really isn’t doing your business any favors. Please try to be kind to each other. If you’re sending emails like the above, or if you run a mailing list that is a little bit more natural, be aware that people mark emails as spam based on very small triggers. For example, if your email is not personalized and says something like “Dear Sir/Madam” and then is written in all blue text sized 18px then it’s a good chance it’s going into the spam folder. Most email providers will have this type of thing built in now, but you can also use a service like this one to see how spammy your emails are and whether they’re even going to get delivered in the first place. It’s a good idea to practice a few of these. In the meantime, beware that a lot of keywords will also trigger emails to go to a spam folder as they think they are spam or a promotion. Here’s a list of 400 of them you might want to not all put together! If you get a boatload of emails then it might be time to organize them a little differently so as to make archiving, quick-access, etc. a bit easier for you. This can be really useful for things like record keeping and saving time in three weeks when you need to dig up that email chain to check a detail. Here’s a good guide on how to organize emails in Outlook using folders and templates. You can also get used to things like filters which send certain future emails to certain places based on your commands. Try to play around with a few options and see what works for you. But make sure you stick to one system for a while and track whether it saves time and reduces stress. Did you know that your specific email can get blacklisted by other email servers? This is a really common problem that is actually overlooked by a lot of bloggers and online entrepreneurs and can result in a bunch of emails getting lost as the server refuses to deliver them to the recipient. You can use a tool like this one from MX Toolbox which checks your IP or domain name and sees which servers are blocking it and gives you a reason. You can then follow up with your host and see what else can be done to remove you from any naughty lists. One of the biggest unspoken rules of email etiquette is that you should always treat someone’s email address as private and confidential. 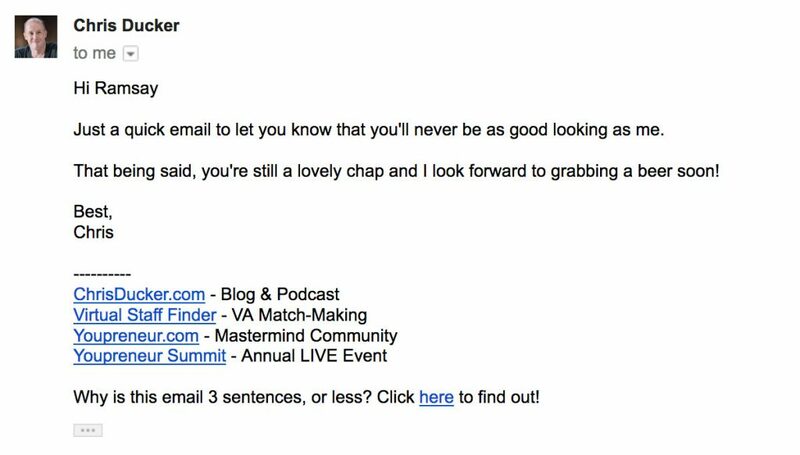 Last year there was an interesting example in my industry where some marketer has set up his/her email incorrectly and sent emails to hundreds of people where all the emails were visible in the recipient field. The problem was that every reply that was sent saying “Take me off this list!” also went to everyone else on the list! The result was dozens and dozens of emails every day for weeks. This is a really frustrating scenario and it’s always a little disappointing when you see your personal email address displayed publicly when you never wanted it out there. A common problem in today’s Internet Age is the idea that communication sometimes gets a little muddled when it’s written and not spoken. Tone, inflection, etc. can all be lost and misinterpreted. Sometimes it’s necessary to send important emails so as to have a written record, but often it’s a good idea to ring someone if you feel there has been some mistake that has caused upset. It might just be that the email’s tone was interpreted as aggressive, for example, when it was meant to be comical. As a default, try not to get too upset if you receive an email that puzzles you from someone you might have expected to behave differently. It might just be a clumsy composition as opposed to something malicious or hurtful. Whether you are pitching a new idea to a person you don’t know, or sending out a newsletter to your devoted mailing list, the subject line you write will play a huge role in whether the email is a success or failure. Some emails, for example, won’t even get opened if the subject line is no good as it might get caught in a spam filter or just ignored by the person scanning through their inbox. This is where split testing comes in. 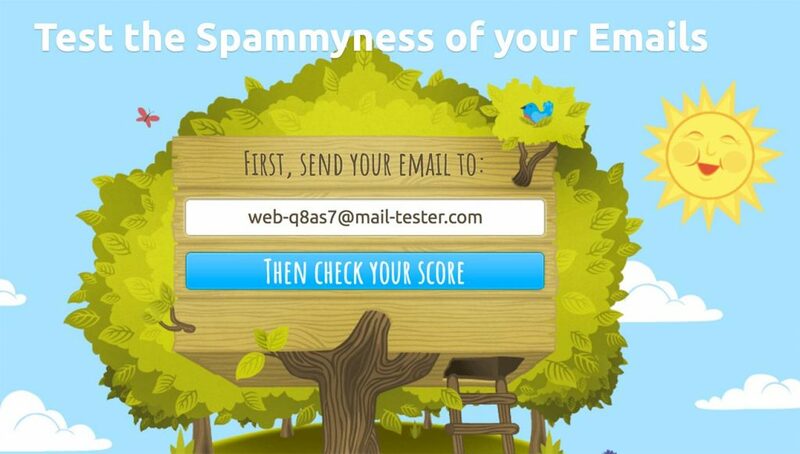 The idea is that you test variations of an email where only one element is different and see which performs best. It’s a common practice now and was even used to great success in Obama’s election campaign. Let’s say you have a newsletter to send out to 1000 email subscribers. You could send one email to 250 people with the subject line “50% off all stores today!” and one email to another 250 people with the subject line “Sale” and see which one gets the most opens. You then send the more successful subject line to the remaining 500 people. This is an imperfect science but, over time, it starts to give you an idea about what works. You’ll learn things like whether your list prefers short or long subject lines, etc. The team over at Digital Marketer have some really good subject line statistics and ideas that you can apply to your own campaign. 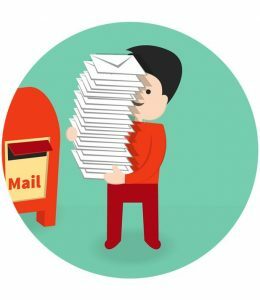 Another new tactic that is seemingly more and more common is the practice of adding an someone’s email to your mailing list even without their express permission. For example, sometimes I will have an email conversation with someone and then a few days later receive a newsletter from them even though I never subscribed. Similarly, some bloggers will add you to their mailing list automatically after you leave a comment on one of their blog posts. Not only is this unethical, it is also illegal in some countries where you need to have permission from the person to email them about specific topics so as to not qualify as a spammer. The only thing this practice achieves is more people marking your email as spam and getting you on one of the aforementioned blacklists. There are lots of good WordPress plugins out there that can help you grow a mailing list while still having the permission of the people involved. Check out number 13 and 14 on that post linked to above. As with all things digital, it’s important to keep a backup of many of your email related assets. By way of an example, many of us use email as a storage system for receipts and other tax items. If you lose access to your email or your server has a hiccup you could lose years of important documentation. Similarly, if your business relies on it’s email subscribers to generate revenue then you should absolutely consider keeping a separate backup file somewhere just in case something goes wrong with whatever host you are using to store those leads. In most cases, a simple text file on your computer or stores on a separate cloud system like DropBox will be enough to keep you covered. 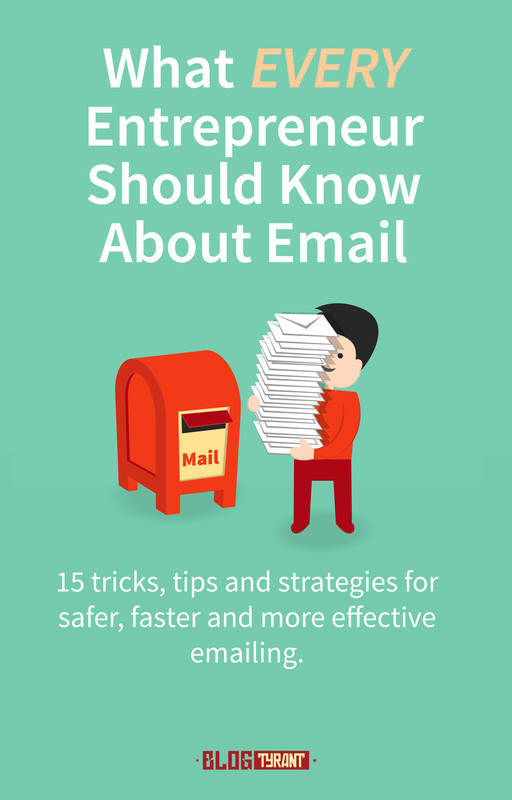 What else should entrepreneurs know about email? Well, that’s the end of the tips that I wanted to share about how to use email more effectively. But, as always, I’d really love to know what you think I’ve missed and what other bits of information you think other entrepreneurs could use in their daily emailing activities. Yes, email is still the most effective but can also have disadvantage. I love using emails to get in touch with experts in my niche but I’ve found that using “contact me” pages tend to work better. In the recent reach out campaign I’m doing, about 60% of influencers replied. While only 20% replies via direct mail. I think people are most likely to open emails coming from their websites because the subject says something like “New Submission from Contact Form” so it is slightly more likely to get an open. Few weeks back I about 3 emails to Sue of successful blogging dot com. None was even opened. Few days back I used the contact form on her blog & got a reply within 24 hours. It also varies from the website and influencer though. But for me, it worked and is still working well. CTAs in signatures can be problematic as they can be considered advertising for which you first need permission from the receiver. Not adhering to these rules (even if you were simply not aware of them) can trigger very expensive fines by specialized lawyers. They don’t need to bring you to court, just threat you with a court trial if you don’t pay the fine to them. Very interesting. I’m going to add a note in the post for people to check this comment out. – German courts often even consider requests for cooperation/link exchange as unsolicited advertising. – Feedback requests are considered advertising and need prior opt-in. – Inviting someone into your network on Xing (the German LinkedIn) can be fined if your invitation contained advertising. – Autoresponder mails should better not contain advertising. – Sometimes different German courts rule differently. For example while a court in Bonn ruled that an opt-in expires automatically after a few years, the court in Hamburg ruled that an opt-in doesn’t automatically expires. Quite strict but probably a move in the right direction. As to whether it will stop the problem, I doubt it. Thank you for taking the time to share that here. I really appreciate that effort. Likewise thanks for the info. I’ve had a couple clients in Germany and they always seem to tell me more interesting rules to protect the employees. LinkedIn could take a note out of this book. thanks for another useful article! Just one thing: The MX Toolbox link is wrong, the right one is https://mxtoolbox.com/blacklists.aspx. Great post! In gmail, I was able to establish filters to help clean up my inbox of 9k emails. I created a “safe to delete” filter and applied it to all the vendors and other lists I’m on that I rarely use or follow up on, but some stuff is useful. Another fantastic piece. I haven’t really been pushing my mailing list which is something I really want to do. Thanks, Ramsay! Ramsay, great points on email. I find some days they can kill productivity so I did an experiment today which left me time for lunch now. I turned off the email for an hour and got so much more done at work. It really was amazing. In the future I’m going to do it more and try to pick times not to check email and leave it off totally. I do have one question which I don’t believe was covered here, what do you think of emojis in email? I used them with people I know very well even in business. Ramsay, a good article, thanks for all the tips. It is amazing to see that many bloggers (some famous ones as well) use GMail as their email client – some with even @gmail.com at the end of their email address as well. The choice of a decent and robust email client is very important. Especially with email archiving for audit-able records, I think that all bloggers beyond certain stage should use a service where every single email is kept and stored for future reference if required. Just my two pence. I especially liked the Zen Habits article. I heard a similar tip on the Chris Ducker podcast a few weeks ago. Since then, I haven’t allowed myself to check my emails until I’ve worked on my top 2-3 projects for the day. It has made a world of difference in productivity! Also, I did the spam test result and got a 9.3/10. That is a super cool tool, Ramsay. Thanks! Great article Ramsay! Thanks a million! It’s been a while I read from your blog. Powerful write up there. Love it. For me the whole question of communicating online is one of “Quality”, this might seem simplistic, but the relationships you build online largely determine the outcome of your efforts. Trying to establish a rapport, and connect with people is of course the most difficult part, and why ‘Spam’ is so desperately presented. The process of building genuine connections occupies the bulk of online efforts, it seems to me. Email is certainly still the ‘big one’. Nice strategic tips for email marketer. Thanks Ramsay for sharing these. Thanks once again for an awesome post. I was one of the people who, not on purpose though, had some people on my mailing list who did not opt-in but were people that I either sent an email to at some stage or even people that I am subscribed to their lists. You would be glad though to know that I removed these people myself as soon as I realized it and this mistake came because of being technically unskilled when I started off using MailChimp for the first time. They have this nice big button when you start out at first that says import contacts and not knowing what you’re letting yourself in for, you import your contacts, thinking it’s the right thing to do. Then when you send out your first email, without knowing, you send it to everybody that you ever contacted, everybody that you are signed up to their list and even people you would never send an email to because they are your hosting company (gasp – yes happened to me). It might be a bit dumb, but I only realized this after sending out a few emails to these people and one day (not too long ago) while checking my stats, only then did I realize this and removed them. So sometimes I think these things happen by accident, but one of the great things about being an entrepreneur is that we look before us instead of behind us and keep moving forward in spite of these small mistakes and are always willing to learn from them. A chain of 20 emails is a great way to generate misunderstood expectations. On a phone you’re able to change tone and pace of the person on the phone isn’t comprehending or confused. I could not agree more with you on that point. If projects ever feel odd or off – a phone call is the fastest way to clean everything up. To laugh about everything, discuss where the confusion is coming from, apologies for being flesh bags – and boom – everyone’s on the same page. Emails are a massive drain on large corporations. I worked for PepsiCo growing up in my career – I oversaw 3000+ changes to the SAP BOBJ environment – each change required approval via email or phone, to be attached to the SOX software. We are talking hundreds and hundreds of emails per day were a regular thing. If we just had a few sections automated – we could be driving this a bit smoother, worked with all team and mgmt – and if I had done that over emails… Nothing would have changed. Of course the agenda being less emails are more better ;-)! Long short – worked with team, a few pieces of the workflow caused more problems. I think whiteboarding logical steps and breaks, would be helpful means of mapping your way out of only using emails. Thanks again dude, always a pleasure. Btw swapped to 3 button menu and I’m bringing in a few leads per week. Love you dude. Life changer. satisfying. Including my email signature has also quite helped me a lot. in the dark zone. I am going to dig more in this topic. very good content .. thanks for sharing with us . Great read, especially for someone who is just starting to grow their email list. I have a bad habit of checking my email first thing in the morning, which is a huge time waster. I’ve also found myself responding to emails right away. Another time waster. While I love email as it helps me keep in touch with people. It can also be a huge time waster if you’re not watching how often you’re logging in. Thanks for this eye opener, I need to start checking mine less often. I really use email for marketing…yes they are really a game changers in the internet world…though Facebook, twitter, Instagram have become popular but still emails have not lost their importance…still the world is connected through emails…amazing post..even I am looking to write a post on EMAIL..thanks for sharing this Ramsay..!! I spend my time replying to most of the emails weekly. I flag it as spam when I get unrequired advertisement in my inbox. Sometimes, guest post request and other kind of proposal become spam or irrelevant to my niche. This was a really good read. I liked how you pointed out a problem & then gave a solution. However, Don’t you think in this era of Chatbots & Social Media, Email is beginning to lose relevancy? The important thing about email marketing is quality of database, do u know how to get quality database? hmm thanks dear, should be like this if i become ruler? I wrote a post about legal stuff (technical term) related to email last month that touches on some of these things and how we should often go BEYOND the legal to better serve our people. (linking to it as I register my comment) Thanks for a great post!